Koch advertising brand "Chinese", made by "Sigmund Spear, Kunstanstalt Nürnberg." 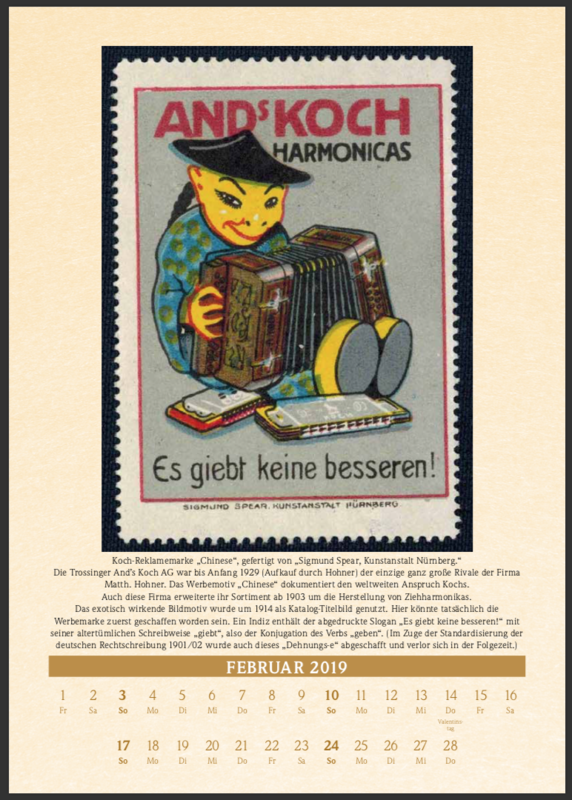 until the beginning of 1929 (purchase by Hohner), the Trossinger And's Koch AG was the only major rival of the company Matth. Hohner. The advertising motif "Chinese" documents Koch's worldwide claim. This company extended its range from 1903 to the production of accordions. Further information (in German) about the advertising stamps can be found on the page Marketing en miniature.